My business is to be creative, not be enslaved by others! I have been following with interest and repulsion in equal measure the Dieudonne saga in France, partly because I’m obsessed with France and partly because of my innate fear of all things fascist/right-wing/nazi and following the very public goal celebration in the UK by Nicolas Anelka recently. Dieudonne shows have been cancelled in some parts of France but not without a public outcry from some sections of the society that this is an attack on freedom of speech or freedom of expression. But I find myself thinking as one who will willingly defend the right of freedom of speech even when I fundamentally disagree with the sentiments being expressed, that actually even a bad clown can make a mistake and may even break the laws of the land. Wearing a red nose or pretending to give humor never prevented anyone from committing a crime. If a thief steels a motorcycle he has committed a crime even when he does in an amusing way. 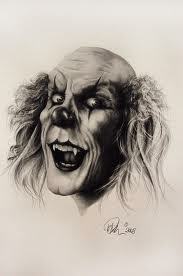 However, Dieudonne, the sinister clown seeks to further his obnoxious views through so called humor. By going on a tour, publishing dates and venues he is being provocative and foolish. The French have not prevented his freedom of expression but have prevented public discord and a potential for civil conflict. Dieudonne is not a victim, he has not suffered a crime against humanity, he has had his talentless show which trades on scandal and abuse brought to a close in the name of public safety. Dieudonne only speaks to those who cling onto the unintelligible thought of anti-Semites, to them his act, if indeed that is what it is, is a source of humor. He therefore only speaks to a small but nonetheless nuisance minority of people. To this day there are conferences and a vast number of books which speak of the Nazi Holocaust, a permanent stain on modern society. To think that this could be a subject for humor frankly beggars belief. The notion that the law can impose limits on public behavior to me is something which should and must be challenged frequently. But the exploitation of crimes against humanity for the humor of a very few is not an area I would recommend to anybody as a place to challenge accepted decencies. His act is a cynical insult for his own reward. His act is one of many which seeks to raise the infamous beast of anti-Semitic thought from the ashes of hate. It is quite amazing to me to notice that resistance of Dieudonne and his like comes from all sides, both left and right leaning thought. Of course Dieudonne argues that he provides a refuge in humor from the Zionist, he may well do this but I ask what is Zionism in 2014? If only Dieudonne could see the threats from without the ‘Zionist’ state maybe then he wouldn’t be such a sinister clown about it all. To add to the anti-Semitic attacks which are frequent the need for humor at the expense of the dead is an insult. To do this at the expense of Holocaust dead is a crime! This entry was posted in anti-Semtitism, Art, Britain, business, education, equality, EU, Europe, France, globalization, happiness, Hate Crime, identity, Inspiration, Israel, knowledge, leadership, life, local, motivation, Paris, peace, politics, Regulation, self, stupidity and tagged affirmative action, anelka, Anti-Semitic, creativity, culture, Dieudonne, france, government, happiness, human-rights, identity, inspiration, Israel, Jew, Jewish, leadership, life, People, politics, positivity, power, value, virtues, way of thinking, zionism. 100 years ago this month was the trial of Mendel Beilis; a Jewish factory manager in Kiev, Ukraine, accused of murdering a Christian child to use his blood to bake matzah for Passover. The story actually began in March 1911 when the mutilated body of 13-year-old Andrei Yushchinsky was discovered in a cave not far from the Jewish-owned and managed brick factory on the outskirts of Kiev, where the 39-year-old Beilis worked. Police investigators concluded that the young boy had been murdered by career criminal Vera Cheberiak and her gang, which became suspicious that Yushchinsky knew too much about their criminal activity. A not too difficult to believe conclusion. However, Instead of prosecuting Cheberiak and her gang, the imperial Russian government (including the Czar himself) decided to pin the murder on Beilis and frame the case as one of Jewish ritual murder. During the month-long trial held at the Kiev Superior Court, the prosecution worked to prove that Cheberiak and her companions were innocent of the murder, and to establish that Jews, specifically Chassidic Jews, frequently engaged in the ritual murder of Christian children. What was overlooked was the extent to which the Chabad-Lubavitch branch of Chassidism was targeted in particular. Prior to Beilis’s arrest Jewish community leaders and the editorial staff of a major monarchist news magazine held a meeting to discuss how the case should be portrayed. These leaders professed Beilis’s innocence; they also refused to accept the government’s request that the Jewish community assert its general innocence by admitting that Chassidim were a fringe sect that committed heinous crimes. A transcript of Rabbi Yaakov Mazeh’s expert testimony for the defense, which focused heavily on the history of Chassidism and the teachings of Chabad, demonstrating just how central Chabad’s role in the trial proved to be. Many experts concluded that the Jewish community was slow to come to the defense of Beilis. But, according to Edmund Levin, whose book Child of Christian Blood: Murder and Conspiracy in Tsarist Russia: The Beilis Blood Libel which will soon be released by Schocken, quotes research which is significant because it contradicts this narrative, showing that the Jewish leadership in Kiev was actively taking steps to counter the anti-Semitic charges even before Beilis’s arrest. 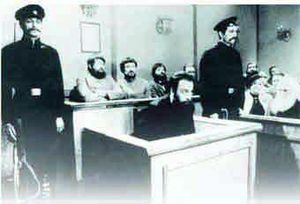 Following the meeting, the Kievlianin surprised many by taking a strong stance against the sham prosecution of Mendel Beilis. This surge of unity in the face of Anti-Semitic hatred was again embodied in the testimony of Rabbi Yaakov Mazeh of Moscow, who served as an expert witness for the defense; Mazeh’s testimony was one of the highlights of the trial. “There were glowing reports in the Jewish press praising his eloquent defense, and he became famous for a feat of oratory that lasted an entire day. A Hebrew-language transcript had been serialized following the trial in the Jewish daily Hatzefira for those who are interested. After the trial, Beilis left with his wife and five children to the Holy Land before eventually moving to New York City. His funeral in 1934 was held at the Eldridge Street Synagogue on Manhattan’s Lower East Side and was attended by some 4,000 people. Beilis is buried at the Mount Carmel cemetery in Queens. The Jewish approach to battling such propaganda is becoming a living example of how a moral human being should act. This entry was posted in anti-Semtitism, business, equality, Hate Crime, identity, Inspiration, Israel, knowledge, leadership, life, local, motivation, peace, politics, Press Standards, Regulation, self, strategy, value and tagged Andrei Yushchinsky, Anti-Semitic, blood libel, Chabad, Jewish, Judaism, Kiev, Menachem Mendel Schneerson, Mendel Beilis, New York City, Noahi. The Sejm, the Polish Parliament, recently voted to make the kosher preparation of meat, the backbone of Jewish dietary laws, ILLEGAL. This means that Poland has become the first country in Europe since the end of World War II to ban shechita – kosher slaughter. In effect Polish Jews have been told to quit the country or stop being Jewish if they want to stay in Poland. Prior to WWII Poland was home to the largest Jewish population in Europe. Of course the Nazi Holocaust changed that for ever, but in July 1946 ethnic Poles murdered Jews in a pogrom in Kielce. Today no more than a few thousand are left. We’ve been here before and what comes next is more attempts to wipe out Jewish culture, to make it impossible for Jews to live peacefully with, contributing to and adding to the other local cultures & traditions. As with ALL religious groups provided they are not in some way harming others then they must be protected, safety and rights of religious practice guaranteed. Any movement that begins with the outlawing of shechita is virtually guaranteed to adversely affect not only the Jews of Poland but, eventually, Jewish communities everywhere. I strongly recommend that you (of any faith or none) stand with WJC and sign the International Letter of Outrage. This entry was posted in anti-Semtitism, business, EU, Europe, Hate Crime, identity, Israel, peace, politics and tagged Anti-Semitic, creativity, culture, equality, government, happiness, human-rights, Jew, Jewish, Kosher, nonsense, peace, Poland, value, virtues, way of thinking, WJC, World Jewish Congress. Set Free by the Truth!